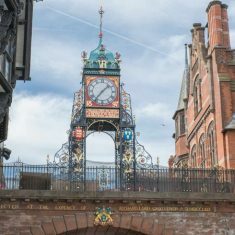 Clouds may be gathering over the UK political scene, but Chester remains in the eye of the storm as far as the property market is concerned. In this video, Alex Horne, Senior Valuer at Matthews of Chester comments on the current property market activity levels, and explains why now (especially for first time buyers) is the perfect time to invest in the Chester property market. Whether you’re a first time buyer or looking to put your property on the market, contact our experienced Sales Team who can help you find the right property. Hi my name is Alex Horne, I am the Senior Valuer at Matthews of Chester and welcome to our January residential property market update. With clouds gathering and the UK political scene in turmoil, Chester to a certain extent is probably in the eye of the storm. We are seeing some good activity in terms of viewings and sales as the curtain rises on 2019. Most of this activity is in the mainstream sector of the market, with first time buyers in the ascendant. They are taking the place of the waning number of investors and buy to let purchasers. Who can blame those first time buyers? Quiet honestly, the interest rates are still low.There is a zero rated stamp duty land tax, threshold up to £250,000 for those people putting their first step on the property ladder; and there is undoubtedly a situation here, no matter what the bank of England says, property is still a long term best bet investment. So with good activity and no one really being able to predict after March 29th of this year, if you are thinking of selling your house it is definitely worth taking the plunge and testing the market because there is interest there for the right property at the right price.